AJ's Deer Valley Real Estate 2016: "Lookout", here it comes! 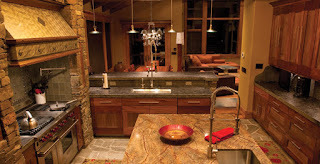 Another Auction in Deer Valley! "Lookout", here it comes! Another Auction in Deer Valley! Lookout at Deer Valley Auction Just announced is the upcoming auction of 7 homes at "Lookout", a luxury home development in the Silver Lake area. Henry Sigg and Jeff Coleman, the developers of Lookout, have built a quality high end product in a great hillside location... just below Royal Street just Northwest of Stein Eriksen Lodge. This follows closely the successful auction of 8 condos at "Silver Strike Lodge" in Empire Pass earlier in the month, plus another 6 post-auction. Lookout promotional materials boast up to 59% reduction in prices over prior list. The auction is to take place on March 27, 2010. Prices start at $1.65m, or $287/square foot, and go up to $2.55m. These will be relative bargains, and worth noting if you know anyone looking for a great buy in a non -ski in/out home, but brand new, with high end finishes! I have personally previewed these offerings, so if you or anyone you know is interested, please call or e mail me for a critique of the locations, floor plans, and views of the seven offered. 402 Bristlecone (click to see listing) Why? Low $/sf price, stunning views, over 3000sf, beautifully furnished, vaulted ceilings. 5 Aspen Hollow (click to see listing) Why? 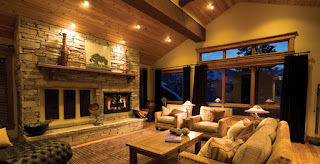 Five bedroom cabin in upper Deer Valley with "ski-out" access. Just reduced to $1,950,000 fully furnished! Second lowest 5 bedroom property available in the Silver Lake or Empire Pass areas!